Yeti...Set...Go out and do up Halloween right! C’mon. Quit Himalayan around! Sorry. We just couldn’t help ourselves. 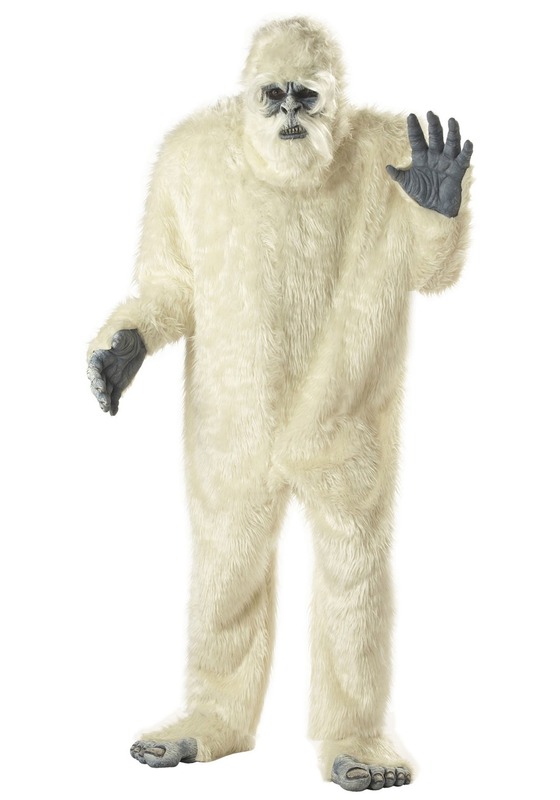 But if you’re in a brain blizzard about what to be for Halloween, why not get larger than life and embody Bigfoot's Himalayan cousin, the yeti? 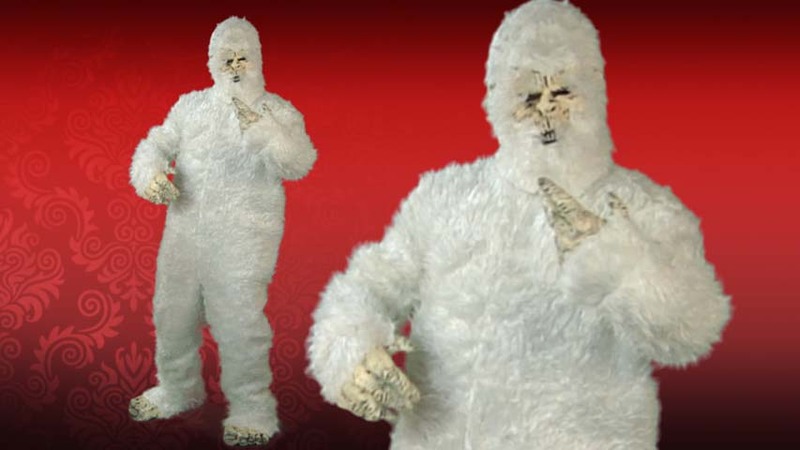 In this Adult Abominable Snowman Costume you can make any cryptozoologist’s dream come true, not to mention take any costume contest with an avalanche lead! Lead an expedition to your pal’s party and your whole crew is bound to buzz about this legendary look, possibly even for years to come. All over the party, whispers of “sightings” will spread as you move from room to room, leaving an air of mystery in your wake. You can even double the joy you get from this getup when you wear it to your winter themed party. No one gets sick of a yeti! Trust us, no one. Finally, your fellow adventurers will be able to examine the elusive abominable snowman in detail in its...well...not quite natural habitat. The luxurious white (faux) fur, the somewhat spooky but also incredibly endearing face (mask), the almost gorilla-esque fingers and toes (hand and foot covers, complete with furry ankle and wrist covers). Oh, the party will go ape over you, yeti! And you better enjoy the attention before it snowballs out of control and you retreat to...wherever it is that you hide out the other 364 days a year.